Viewing Fournier’s paintings of Minneapolis, you can step back in time and see today’s metropolis as a booming young city. 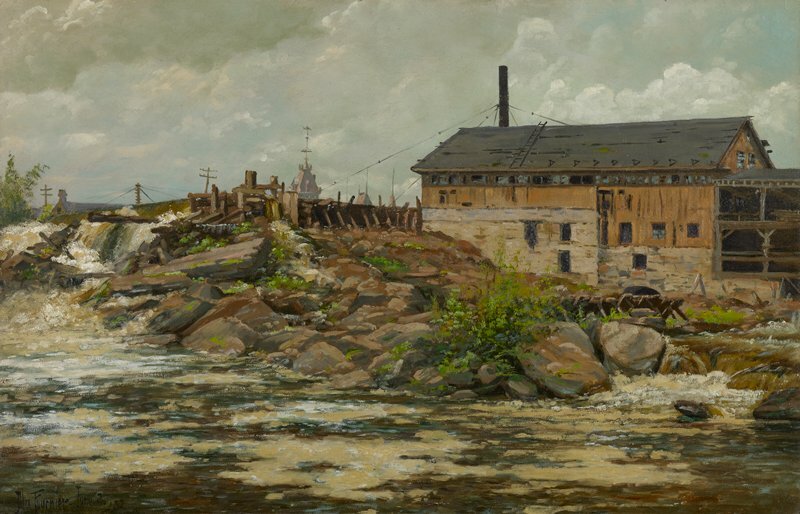 Farnham’s Lumber Mill was one of several early mills located at St. Anthony Falls, on the Mississippi River between the towns of Minneapolis and St. Anthony. The falls made this area a thriving center of industrial activity in the 19th century, supplying cheap energy to saw timber and grind flour. For fifty years, beginning in 1880, Minneapolis was known as the flour-milling capital of the world.